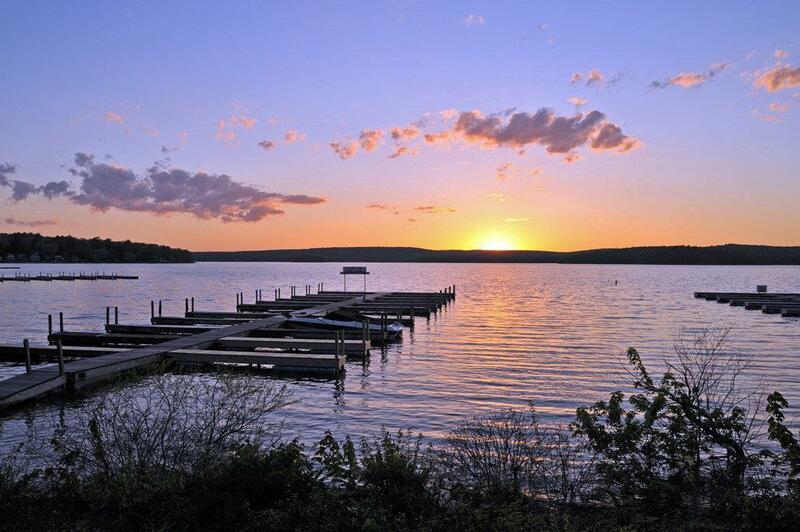 Lake Wallenpaupack is a man-made lake covering 5,700 acres and 13 miles in length with 52-miles of uninterrupted shoreline. It’s the third largest lake in Pennsylvania. It was created in 1926 by PPL, the Pennsylvania Power & Light Company, for hydroelectric purposes as well as flood control; however, it is best known as one of several major recreational destinations in the Pocono Mountains. It is located near the borough of Hawley, and forms part of the boundary between Pike and Wayne counties. Its activities are as far-reaching as its shoreline and sure to please the whole family as you play the day away. The lake has six public recreation areas featuring hundreds of acres of forest lands, wildlife, walking trails, campsites and boat slips. Outfitters also offer kayaks, water skiing, parasailing, wake boarding, jet skies and boats to help you make the most of your experience.